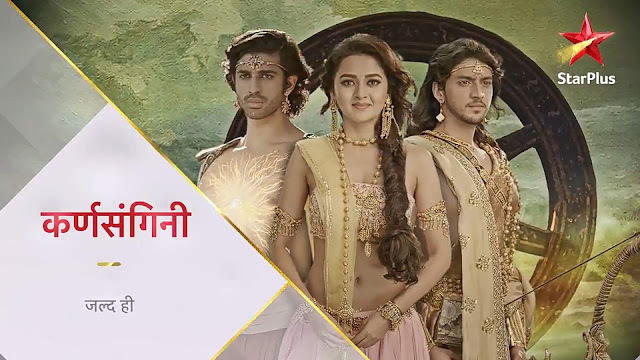 Star Plus is all set to launch a mytho-romance show ‘Karn Sangini’ which unravels the unheard love story/ triangle of Karn, Uruvi, and Arjun.The schedule of the show has not yet been revealed. Set against the backdrop of Mahabharat, a classic narrative of Kurukshetra war, KarnSangini is a fictional story inspired by Kavita Kane’s famous book Karna’s Wife: The Outcast’s Queen. It is the untold tale of Karn and his Sangini, Uruvi, and showcases a love story that transcends all class & social barriers. Arjun, established in the history as a great warrior and the most eligible bachelor/ desirable male of that era, will be shown beyond as a lover in the show. Bringing forth young Arjun’s love for Princess Uruvi, viewers will witness an interesting aspect of his personality! Depicting the unexplored emotions of one of its central characters, the charming actor Kinshuk Vaidya, will be portraying the romantic persona of young Arjun. Given that his character is a far cry from his previous attempts, he is thrilled to portray the warrior prince, who is known for his valour, strength and invincible archery skills in a completely new light. In a bid to do justice to this challenging role, he is going an extra mile and putting in considerable efforts and time to lend it the required authenticity. There's a Lot to Learn from Karn's Life also.